Master of Laws Maria Väisänen holds a permit to act as legal counsel in court. She handles assignments mainly at our Hamina office. Before entering our office, Maria Väisänen worked as Bank Lawyer in Kotka (2008-2018) and as a Lawyer in an attorney-at-law office in Helsinki (2003-2008). 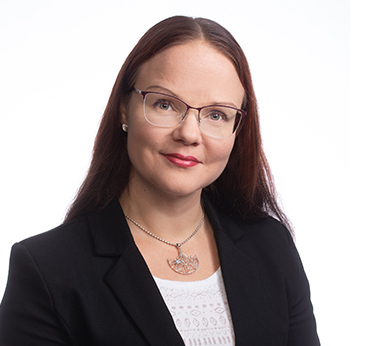 Maria Väisänen assists private persons and companies in contractual matters and disputes and in criminal cases, in particular by assisting the injured party. Väisänen is interested in family law and inheritance law matters and also real estate matters and disputes. Language proficiency: Finnish, English and Swedish. Maria Väisänen takes care of assignments in Finnish or English.